Original Keith Brymer Jones designer large jug (500ml) with “gravy” hand stamped into the super white porcelain body by the skilled hand of a master craftsman. 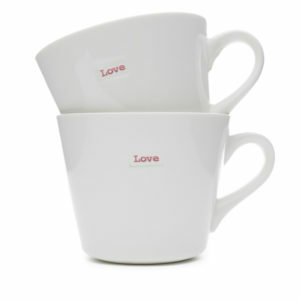 Part of the Keith Brymer Jones Word Range. 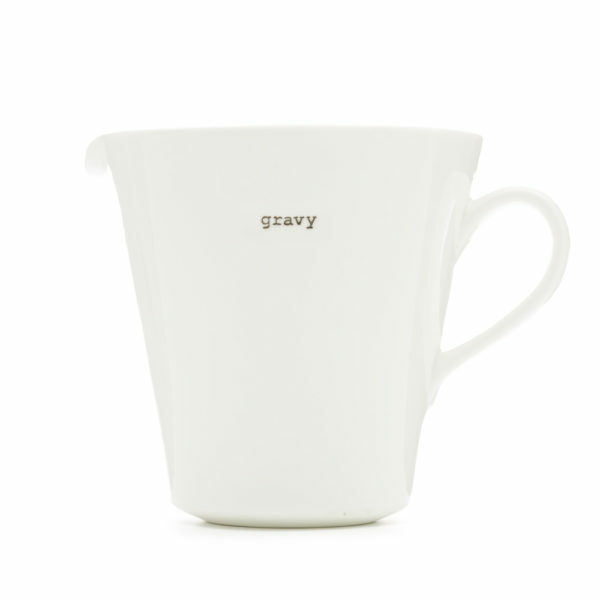 Serve the Sunday gravy in style with this designer gravy jug, hand-stamped with the word ‘gravy’ in Keith’s eye-catching retro typewriter font.